This is Borneo's equivalent to the mainland's Chalcorana labialis. The taxonomic history is too confusing for me to repeat here. 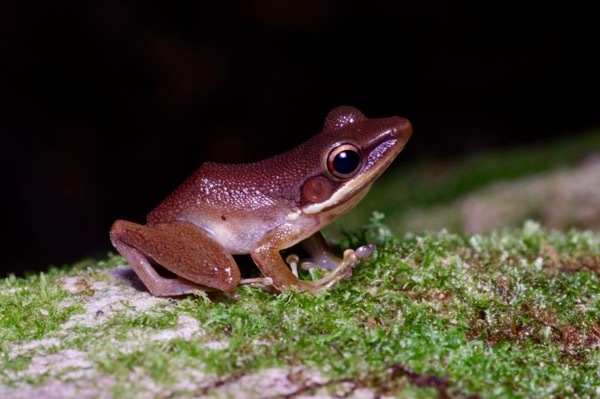 Note that Chalcorana megalonesa, which is also reasonably widespread in Borneo, looks basically exactly the same except that it is somewhat larger and tends to have a brownish back rather than a greenish back. So take my IDs of this species with an even larger grain of salt than usual. 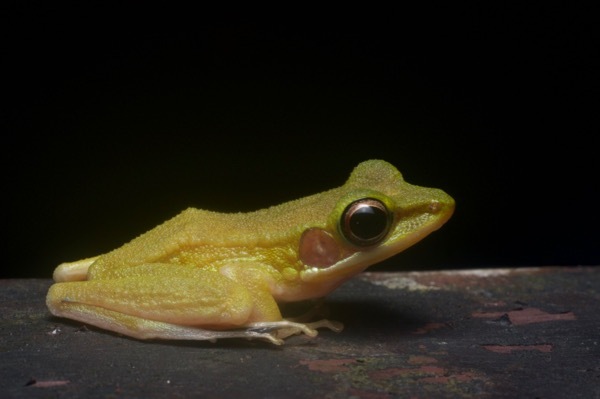 Some authorities place this species in the genus Hylarana. This pastel beauty posed nicely for me on the handrail around Kubah's famous Frog Pond. Hmm, this frog is perhaps a bit of a mystery. 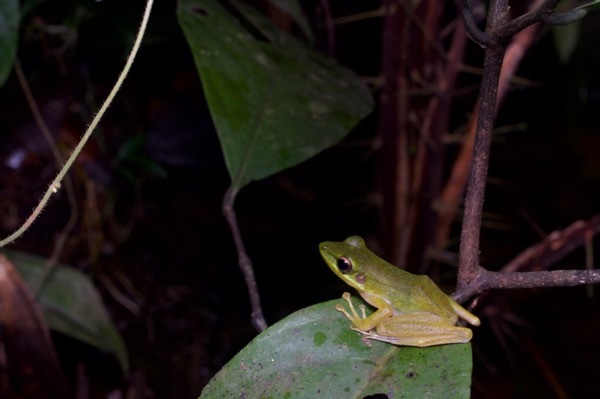 Chalcorana raniceps is described on Frogs of Borneo as "a small green frog, sometimes with brown back". To my non-professional eyes, this frog looks extremely similar to C. raniceps in all ways except a total lack of green. But I don't see any other candidates. My best guess is that it is just an unusual color variation of C. raniceps, but who knows? A reasonably small green frog, with a slightly brownish back. But maybe it is Chalcorana megalonesa instead?